This week we are honored to welcome endurance athlete, entrepreneur, and creator and star of the awesome endurance racing TV show Boundless, Simon Donato. Recently he wrote a book called The Boundless Life: 13 Lessons Learned the Hard Way. 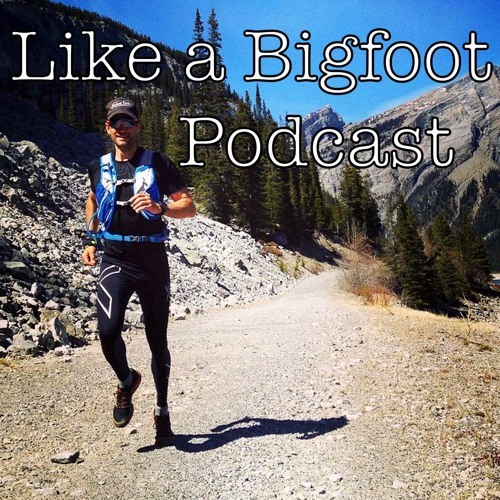 If you are like me and obsessed with endurance sports, wilderness exploration, and solid life advice, then definitely check it out! I finished it over the weekend and absolutely loved it! You can find The Boundless Life here: https://www.amazon.com/Boundless-Simon-Donato/dp/1443446556 Simon is also the founder of the company Adventure Science (www.adventurescience.com) which partners field scientists with wilderness athletes in an attempt to explore and understand the wildest places in the world. In this episode Simon shares stories and advice from his days as a world class adventure racer, explains the lessons he's learned though endurance racing and how they have led to success in other aspects of life, and discusses various expeditions and challenges he has pursued through Adventure Science. He's an incredibly fascinating, driven, insightful person and I'm so excited for you to hear his stories and philosophies! Enjoy! Follow all of Simon's various endeavors by checking out the following links: His personal Facebook page: https://www.facebook.com/AdventureSimon/ Stoked Oats (His oatmeal company): http://www.stokedoats.com Adventure Science Facebook Page: https://www.facebook.com/AdventureScience/ Boundless (Endurance Racing TV show): http://tv.esquire.com/now/boundless For more episodes of the Like a Bigfoot Podcast: https://soundcloud.com/chris-ward-126531464 Subscribe and Leave us a REVIEW on iTunes: https://itunes.apple.com/us/podcast/like-a-bigfoot/id1160773293?mt=2 Most importantly though....go out and find an adventure this week!